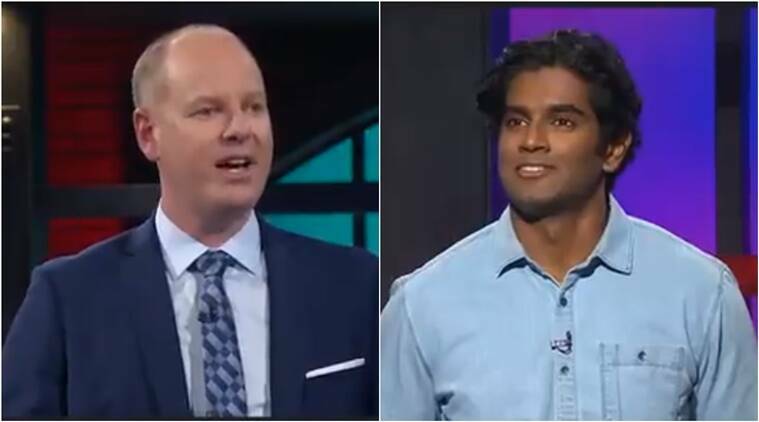 The video shows Tom Gleeson engaging in a friendly banter with a contestant of Indian-origin with disarmingly charming looks. The man identifies himself as Theja on the show and happens to have, in Gleeson's own words 'completely thrown him out of whack'. Twitter users meanwhile have lost their calm over the good looks of ‘Theja’, who is a dentist and loves Sachin Tendulkar. Can you hire him @ABCTV or @SBS ? I’d even watch cricket and I Hate cricket. Give the dentist his due. Share his twitter handle and give him some well-deserved followers please. The internet needs to know his real name.